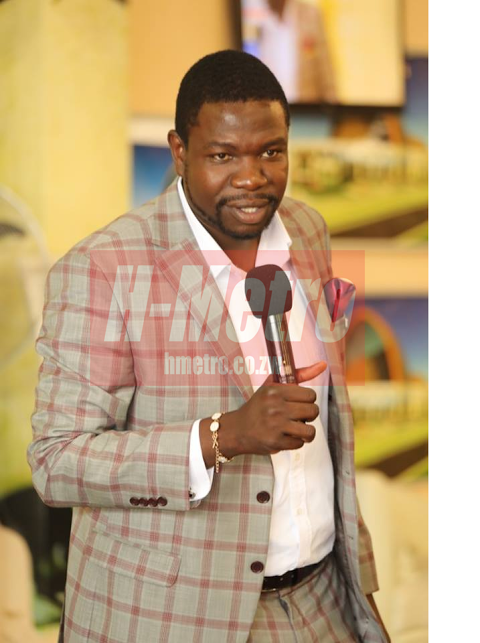 PROPHETIC Healing and Deliverance Ministries founder, Prophet Walter Magaya, is expected to host local and international chief executive officers when he launches his book today at Yadah Hotel. Nearly 1000 participants from other nations booked under Prophetic Healing and Deliverance Ministries will join local company executives in witnessing the launch of a 200-pages book titled The CEO’s Mindset’ penned by Prophet Magaya. “We are launching one of my best books, among the 281 books I wrote, and the purpose is to create a mindset which can make anyone thrive in any economy,” said Prophet Magaya. “We have booked almost a thousand chief executives from various nations and our local executives will get an opportunity to analyze economies from various nations. “I will share with them my personal experiences from the few companies under my leadership on where I succeeded and where I failed. “Although everyone is a leader, we are her to host those who are already chief executives and for those who are still to register can call at our offices for booking since we are starting in the evening,” said Prophet Magaya. Some of the 281 books written by Prophet Magaya distributed in various nations through his ministry includes; Seven Things Africa Must Change, Heart of Maintaining, Leadership, Marriage, The Source, Covenants among others. Prophet Magaya voted by Ngoda Business as the 2017 under 40 most influential entrepreneur followed by Tinashe Mutarisi of Glascor, Nash Paints has made name through Yadah Connect, Planet Africa, sports, mining, agriculture, banking and finance, media, hospitality and manufacturing.